I’m just going to come right out and say that this one of the best books I’ve ever read. Only my second 6 star review EVER, The Girl He Used to Know is one of the most UNIQUE and heartwarming love stories with one phenomenal heroine. Going back and forth in time to illustrate how they fell in love and how they’re currently getting their second chance to be together, the story follows Annika and Jonathon as they navigate love, heartache and acceptance. For anyone out there who has ever marched to the beat of their own drum, or experienced the challenges, heartbreak and ultimately, the beautiful reward that comes with loving someone who does then this book is for you. Beyond the beautiful love story that Annika and Jonathan share, is the remarkable journey of growth and self-discovery that we have the pleasure of watching Annika travel. In my opinion, this book is every bit women’s fiction as it is a romance novel. And the way the two genres come together is brilliant in true Tracey Garvis Graves fashion. Aside from enjoying the heck out of the book, I learned something from Annika and Jonathan. I learned what it means to truly LOVE someone just exactly the way they are, and without apology. That’s what makes this book so SPECIAL. I wonder how often our significant other’s nuances get under our skin and challenge us to deep breathe and count to ten. How challenging is it to make the choice to just love someone and love every part of them? Very! Annika is unique, intriguing, endearing and so wonderfully innocent and loving. She is quite possibly- my all time favorite heroine. Jonathan is sweet, understanding, loving, determined and caring. He’s the perfect guy for Annika and although things don’t work out for the them the first time around, their second chance at love is even more powerful. There is SO MUCH wrapped inside this little gem of a book. I finished reading last night and I’m still reeling from the ending. There may have been a glistening tear (or several) that made an appearance because the ending was so perfect but also, I was just sad the book was over. I never wanted their story to end. Although I’ve only read Covet by Tracey Garvis Graves, I feel like I can trust her writing enough to know going in blind, I’m not going to be disappointed. 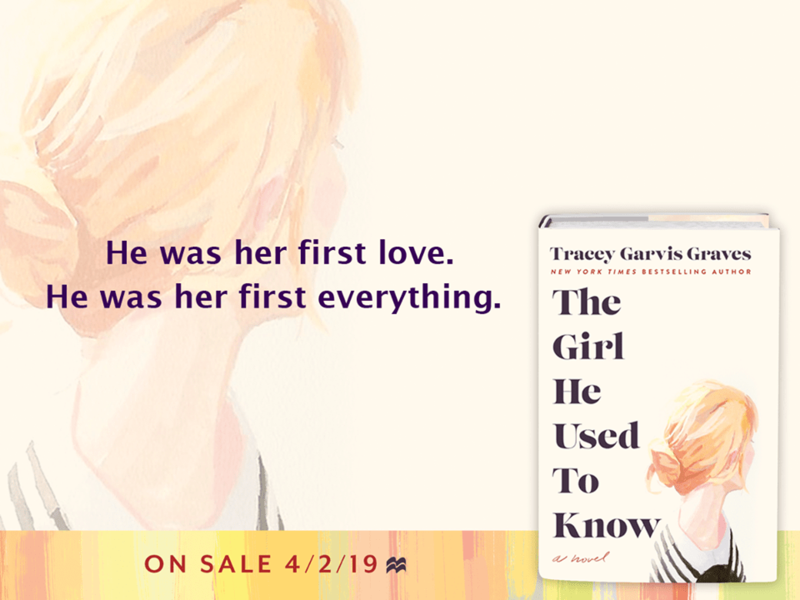 With the Girl He Used to Know, what I got was a wildly unique heroine and one of the best “book boyfriends” you could ask for. Annika is different. She’s socially awkward, very smart, very beautiful, and is unapologetically honest. Jonathan is sweet, smart, handsome and patient to a fault. What bothered me the most about this story is how I felt about a character like Annika. I lacked Jonathan’s patience for sure, but honestly, that means her character was written to perfection. Despite my lack of patience (Seriously, what kind of person am I? ), I really could not put this book down. I had to know why Annika and Jonathan didn’t end up together 10 years ago when it seemed so simple and pure. Annika is the epitome of a strong heroine. Managing the obstacles of day-to-day life could cripple someone like her, but she persevered and acquired a life and a career of her own ON her own. She truly is a remarkable character especially seeing her finally fight for the love she deserves. Tracy Garvis Graves had excellent characterization built in Annika and Jonathan. I can’t wait to devour more of her stories. The only thing I REALLY needed in this book was an epilogue. The ending was just a little too abrupt for me, but it really is a story that still deserves attention. If you’re in need a strong heroine and a unique love story, this is the story to dive into. 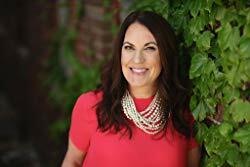 Tracey Garvis Graves is a New York Times, Wall Street Journal, and USA Today bestselling author. Her debut novel, On the Island, spent 9 weeks on the New York Times bestseller list, has been translated into twenty-nine languages, and is in development with MGM and Temple Hill Productions for a feature film. She is also the author of Uncharted, Covet, Every Time I Think of You, Cherish, Heart-Shaped Hack, and White-Hot Hack, and The Girl He Used to Know. She is hard at work on her next book.